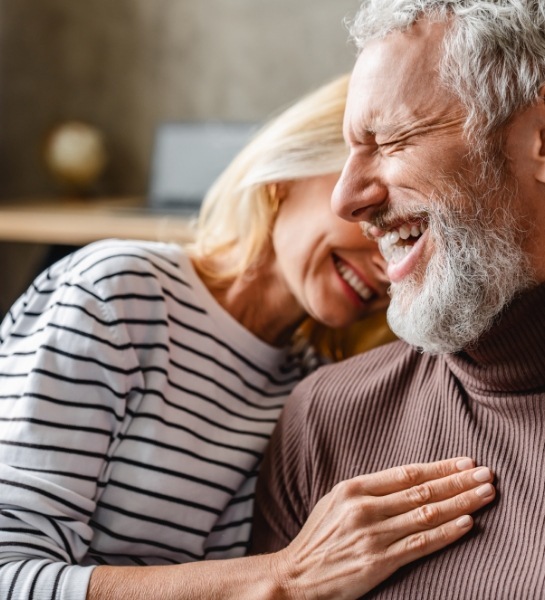 Whether you’re dealing with a single missing tooth, multiple missing teeth, or even an uncomfortable denture, dental implants can help you reclaim your complete smile for a lifetime. Working with a team of local specialists, Dr. Skupny and the staff at Island Coast Dentistry are able to provide what is widely considered the most natural-looking and longest-lasting tooth replacement available today. If you’re ready to eat, speak, and smile with confidence again, give us a call today to schedule your implant consultation. 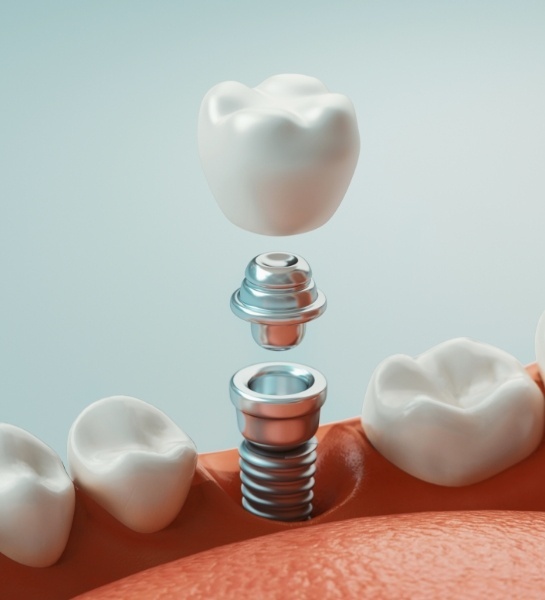 Dental implants are truly special because they actually restore an entire tooth, including both the visible crown and hidden root. They are the only treatment that does this, and the result is the next best thing to nature. A titanium prosthetic root is placed directly into the jawbone, and this can be used to support a variety of dental restorations. They can replace a single tooth, multiple teeth, or even support a denture with a fit and bite much better than a traditional removable prosthetic. 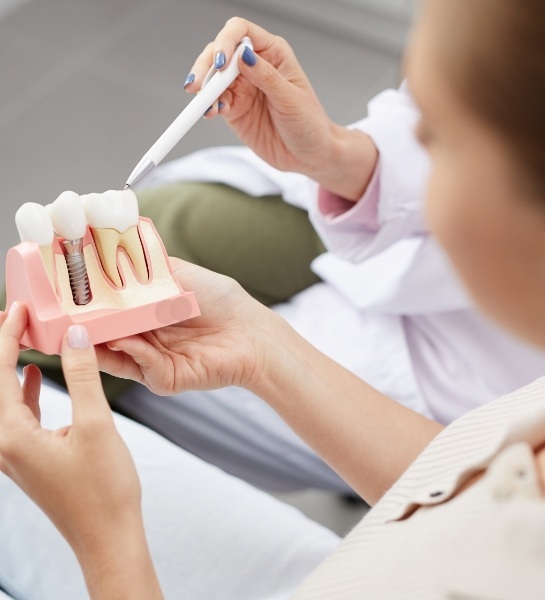 A person interested in getting dental implants needs at least three basic things: good dental health, stable overall health, and a strong and thick jawbone. The new roots need an adequate amount of jawbone in order to stay in place, and any existing dental problems (such as gum disease) could potentially affect their placement. Also, overall health conditions such as uncontrolled diabetes or heart disease could impact the implant procedure as well. If any of these requirements are an issue, Dr. Skupny can work with a patient to help them become a viable candidate for the treatment. How Long Does an Implant Procedure Take? The answer to this question can vary from patient to patient depending on their specific needs. For simpler cases involving a small number of teeth and a healthy jawbone, the entire procedure from start to finish can take about five to six months. 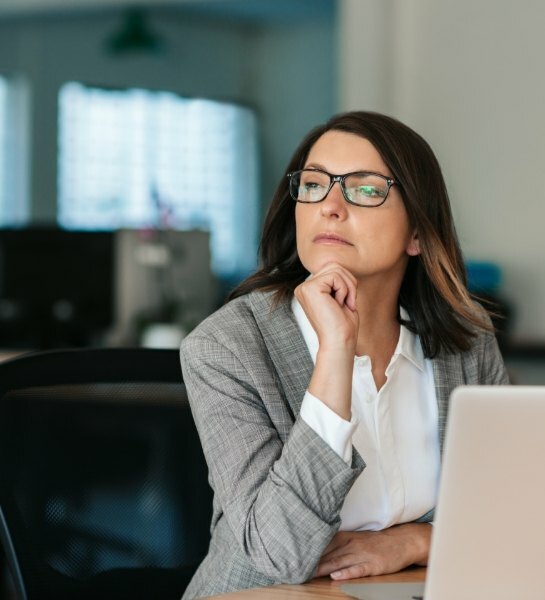 However, if a patient is having multiple teeth replaced and needs their jaw built up with a bone graft to do so, the treatment time can often take closer to a year. When a patient comes to see Dr. Skupny for dental implants, the first thing he will do is perform a thorough oral exam as well as take X-rays. With this information, he’ll be able to determine if a person is a good candidate for the treatment. If they are, he’ll go over their options and what their particular procedure will entail. At this point, the patient will have the chance to ask as many questions as they like before moving forward.